Swavelle Mill Creek Trudy Terrace in the poppy colorway. 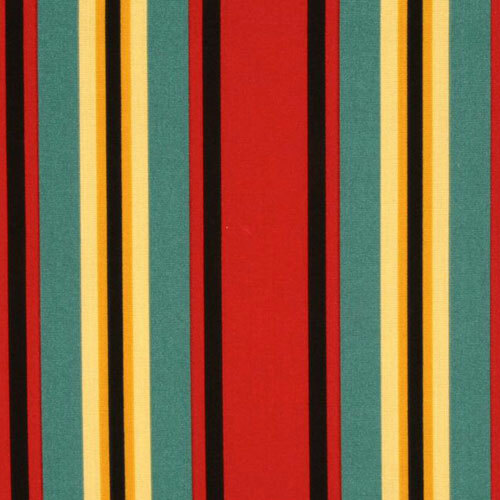 Multi-width stripes in shades of yellow, black, poppy red and dark teal. Indoor/outdoor fabric is stain and water resistant, very family friendly and perfect for outdoor settings and indoors in sunny rooms. It is fade resistant up to 500 hours of direct sun exposure. Create decorative toss pillows, cushions, chair pads, placemats, tote bags, slipcovers and upholstery.